It costs thousands less than a burial. Pre-planning saves money & gives you control. Pre-planning removes burden from family. Fill out the form on the right for FREE information about a Fredericksburg cremation. Warrenton Cremation Planning Pre-planning your Warrenton cremation with the Cremation Society of Virginia in Chantilly gives you the freedom to decide what you want for yourself when the time comes. A Warrenton cremation is also environmentally friendly and costs much less than a traditional burial. Our experienced Warrenton staff can help you decide which cremation plan is right for your needs. Fill out the form on the right to get in touch with a Warrenton cremations counselor for more information. Affordable Prepaid Cremation Our counselors can help you save money on your Warrenton cremation so you can be at peace knowing that you are making an intelligent financial decision for yourself and your loved ones. Our Warrenton staff will help you find ways to pay for your Warrenton cremation without sacrificing the dignified and respectful service you deserve. We at the Cremation Society of Virginia in Warrenton offer our heartfelt sympathy for your loss. 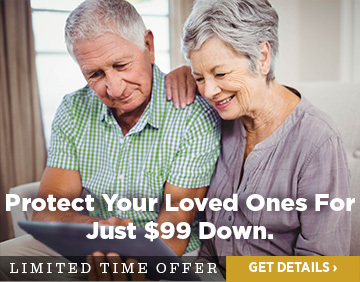 For the immediate care required after a loved one has passed away, please call us at 888-967-9194. Our expert staff is ready to help you 24 hours a day. If you would like more information, please call the number listed above to get in touch with our Warrenton staff immediately so we can begin to help you. After you call, feel free to choose an immediate need Warrenton cremation package that suits your needs and your budget. Once you have called, also begin to pull together the following information. The Cremation Society of Virginia and other officials require this information to fill out certain documents. We understand this is a difficult time for you. Losing a loved one is an emotional experience. A Warrenton cremation can fulfill your loved one’s final wishes and help you feel at peace. We at the Cremation Society of Virginia would like to thank you for your service to our country. We are honored to offer exclusive cremation services to our Warrenton veterans that are tailored to your needs. Our experienced Warrenton cremations counselors can help you file paperwork to assure you receive the honors you deserve, explain government benefits that you may be eligible to use to pay for your Warrenton veteran’s cremation, and inter ashes at a nearby National Cemetery. Filling out the form on the right allows you to get in touch with our counselors quickly. They are eager to help you if you would like to learn more about the benefits of a Warrenton cremation for veterans.